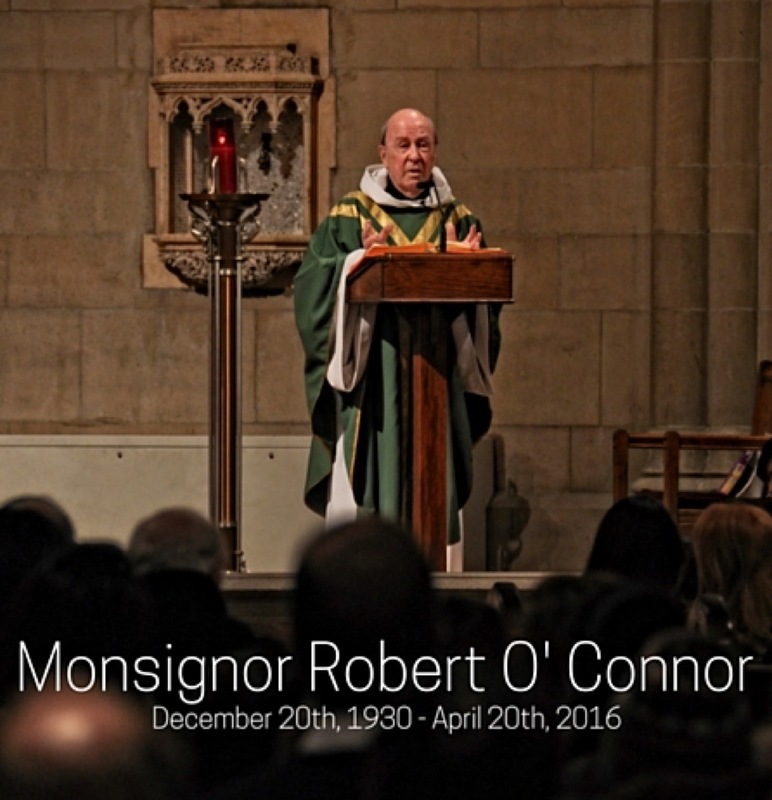 Today is the one year anniversary of the death of Monsignor Robert O'Connor. He can be seen in the photo atop this entry, which is an image I included in a comment to someone re my FB entry honoring the beloved man. In my comment, I reiterated what was written in Monsignor O'Connor obituary: "He was a passionate advocate for social justice, championing the poor, the homeless, the elderly, and all who were vulnerable in any way. But it was his extraordinary ability to minister to people individually that was his true gift. During his 60 years as a priest, he helped countless people, offering some comfort during difficult times, bringing some back to the Church they had lost, and providing others guidance when they had lost their way. He did it all with love, compassion and mercy without judgment."